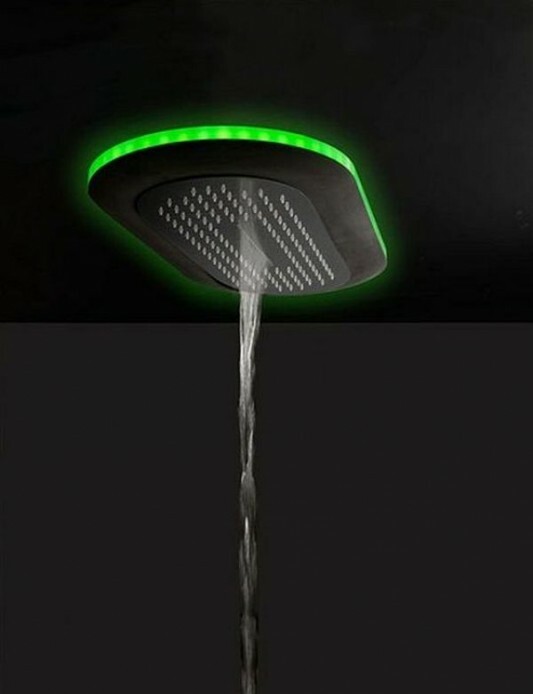 Modern shower heads are equipped with beautiful LED light beam, comprising a wide selection of attractive lighting colors to decorate your contemporary bathroom. 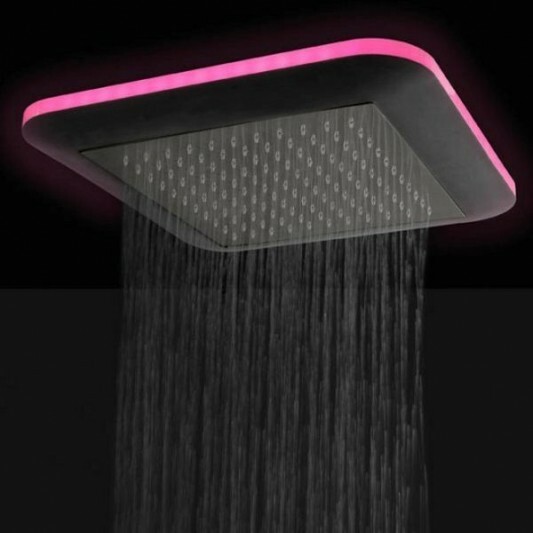 Shower bathroom with this beautiful lamp designed by designer Danilo Fedeli. 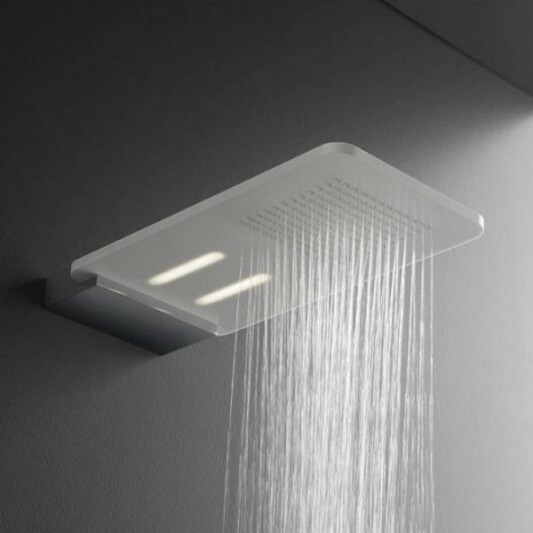 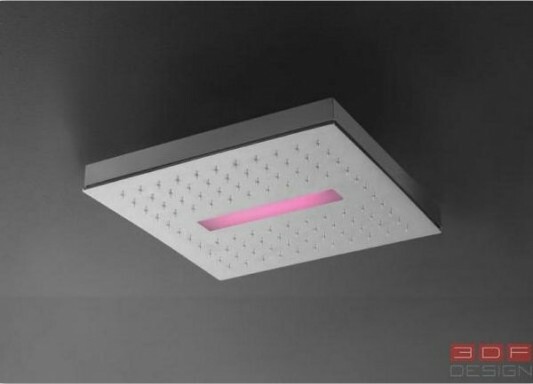 Shower is made in a variety of stylish and beautiful form, the user you many choices of models, such as square, oval and rectangle, all of which are equipped with LED lights with different colors. 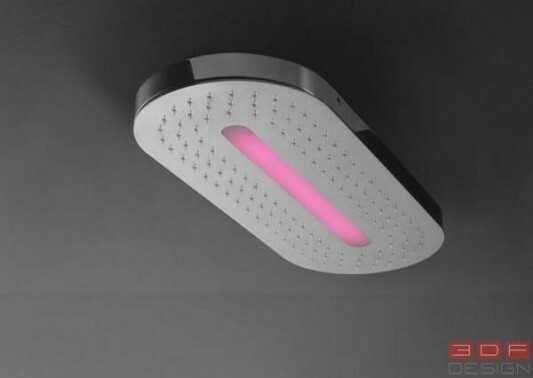 Danilo Fedeli designing LED lights integrated in the shower, which also serves as color therapy, by emitting electromagnetic waves of different frequencies, helping to rejuvenate the body and cope with stress. 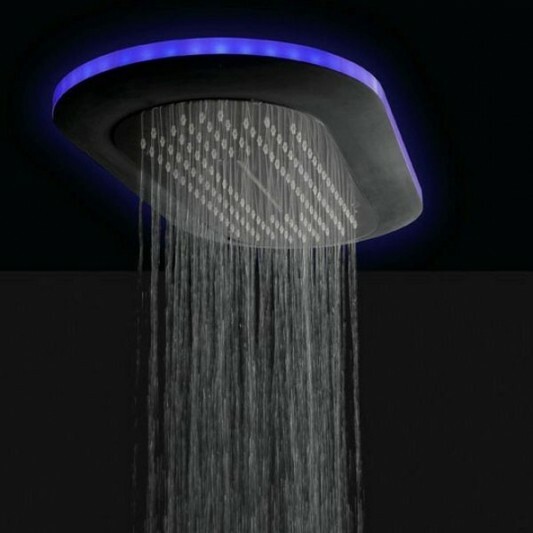 For the benefits of therapy, there is a wide selection of colors with the usefulness of each, like the color blue to therapy, can help calm the nervous system, helping green member of emotional calmness, and white colors to revitalize your entire body. 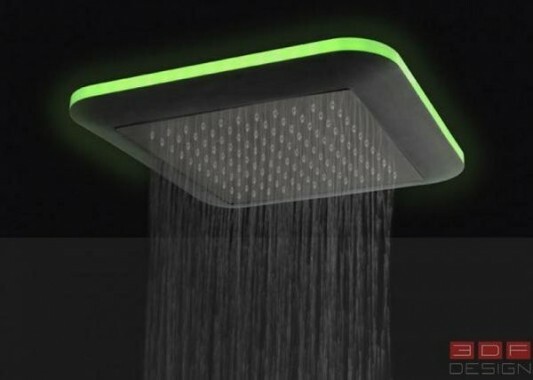 With modern design and stylish, this led shower you deserve to have, and become part of your modern bathroom decor. 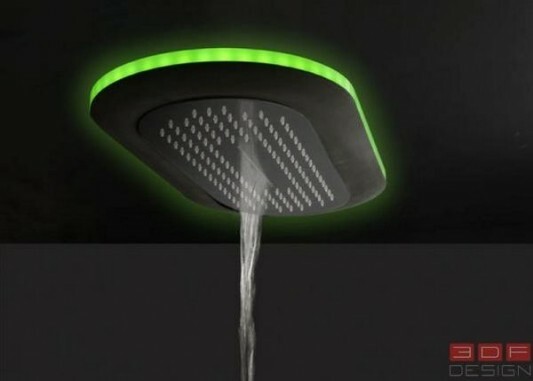 Visit 3DF design for more information.